Explore a snap-shot of new media practice and creative engagement with digital culture, as seen through the lens of the Alt-w award. Since it's establishment the fund has supported a formidable alumni of practitioners in their exploration of new ideas and new technologies. Initially concerned with the emerging medium of the world wide web, these projects now represent the wider evolution of digital culture. From pure research to dynamic production, the range of ideas and depth of enquiry reasserts the vibrancy of experimentation in Scotland. 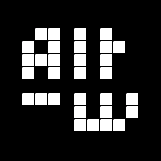 New Media Scotland's Alt-w Fund receives investment from Creative Scotland.